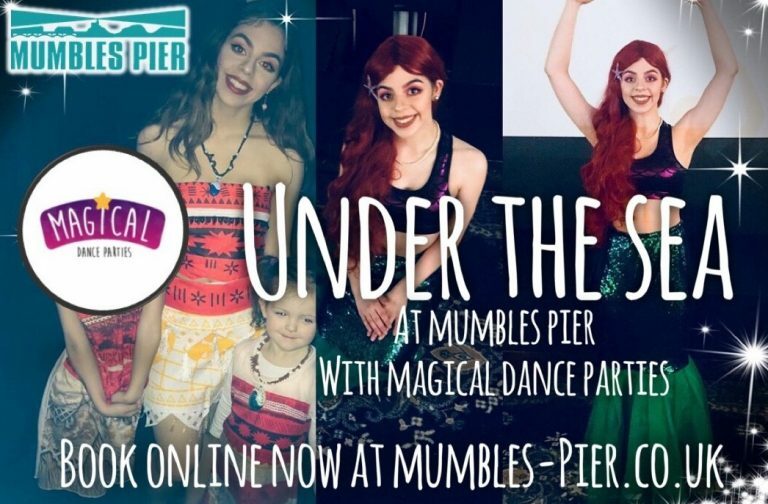 A family fun-filled dance and song extravaganza at Mumbles Pier brought to you by Magical Dance Parties. 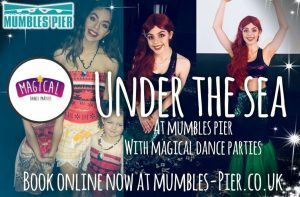 Join us ‘Under The Sea’ – well, on Mumbles Pier! – to sing, dance and play with Ariel and Moana! Open to children of all ages (no performing experience required) you can be ‘Part of Our World’ featuring songs such as ‘You’re Welcome’ and ‘Kiss the Girl’…feel free to dress up too! Your child will meet Moana and Ariel, dance & sing along with theatre-trained Magical Dance Parties. Held in Beaches and Cream, next door to Copperfish Restaurant at Mumbles Pier. This fabulous session lasts 1 hour and is just £5.95 per child. Limited ticket availability.